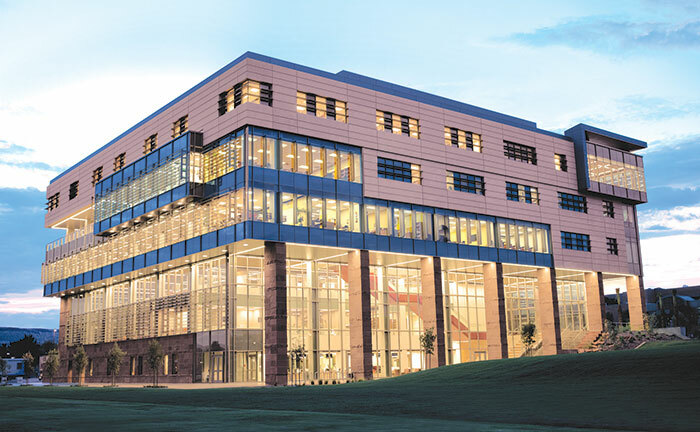 The Dixie State University Library serves DSU students through two impressive locations, the physical library and the online library. The online library provides students with 24-hour access to the library’s catalog, electronic databases, e-books, online assistance through Research Guides (LibGuides), FAQ’s through Research Guides (LibGuides), library hours, staff/librarian contact info, and our free Ask-A-Librarian chat/text message service. • Circulation Services Check materials in and out and find books placed on reserve by faculty. • Reference Services Ask reference librarians to help you with research projects and the LIB 1010 course. • IT Help Desk Put money on your print account or ask IT questions. • Information Commons Use your dmail user name and password to log in to any computer. • Presentation study room Book it online. • Print versions of magazines, newspapers, periodicals Remember, most of your magazine and journal research will be done through online databases. • Group study rooms Accommodate large and small groups. You will enjoy the jewel box study rooms that hang out over the balcony. • Computers Use your DSU login. • Counter workspace Stations overlook the balcony and feature plugins for your laptop. The third floor houses the largest part of the library’s book collection in compact shelving. It also houses the Juvenile Collection (children’s books) and the Curriculum Collection. On the north end of this floor, you will find the Special Collections area and the Faculty Support area. There are also two classrooms on the third floor. Printers are available on every floor. On the second floor, your prints will go to the first available printer. On other floors, your prints will be sent to the nearest printer. Prints are charged to your print account. If you don’t have money on your account or you are not a DSU student, faculty or staff member, go to the IT desk on the second floor and the assistant will help you. WIFI is available throughout the building. If you need help connecting your laptop or device to WIFI, talk to one of the IT support people (in the red vests). Self-Checkout stations are available on the second and third floors and near the elevator on the first floor. Use your Dixie One card as your library card to check out books. Instructions are on the screen to assist you. Helpful staff members are ready to assist you throughout the building. The employees at the Circulation Desk and Reference Desk and the IT staff on various floors are here to assist you. Do not hesitate to ask for help from them or from any staff member. 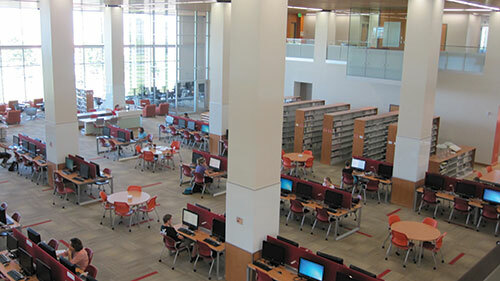 Comfortable furniture and a variety of study spaces area are provided on all floors. There is even food available in the Holland Centennial Commons. You can purchase food from Stacks café on the second floor, Infusion beverage and snack bar on the first floor, or vending machines located on any floor. NOTE: You are expected to remove food and trash before leaving any area of the library. This special space belongs to all of us — we all must work to keep it clean! Recycling Stations are found on all floors. Place recyclable materials in the recycle bins, and all other trash (including food items) in the second bin. Hydration Stations by brita™ are available near the restrooms on all floors. Fill your water bottle with filtered water. The Library Web Page is available from any computer at any time. Stop at the Reference Desk for a personalized tour of this special resource.